Jesus said he came so we might have "life and life to the fullest." We want to see people around the world experiencing the fullness of life Jesus offers. If you are Lovin Life because of Jesus then we would love to hear your story. 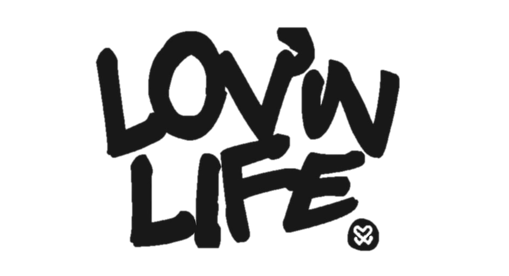 You can send us an email to tell us your story (team@wearelovinlife.com), or you could consider posting on your social media about why you are Lovin Life. Tag us (Instagram: @wearelovinlife) or even post it on our FB Page: We are Lovin Life. We always love hearing about how others are living the fullness of life through Jesus. If it's okay with you, we might even use your story to share/repost in order to encourage to others. Become a Lovin life ambassador. Lovin Life is more the a brand and bigger then an organization. We want to see people Lovin Life as a lifestyle. If you are a christian, then be a representative of the fullness of life that Jesus gives. Live life in such a way that will cause people to wonder about where your joy comes from, and don't be afraid to boast about the life you have in Jesus. If our t-shirts and product can help you speak out about why you love life, then AWESOME, and rock it well. If you are lovin life because of Jesus, then consider yourself part of the team.